Goa is a famous tourist destination that is popularly known as the beach capital of India. The pleasant climate of Goa attracts many tourists from all over the world every year. This beautiful state is blessed with number of attractions that includes churches, beaches, backwaters, temples, caves, forts, waterfalls, adventure activities and many others. If you are planning a trip to Goa and looking for the best time to visit Goa then you have landed up at a right place. Here you will get the information on the best time to visit Goa. The best time to visit Goa is between the months of October and February. At this time, the temperature of Goa is at its best. Winters are the best time to visit Goa, especially during Christmas and New year time. Though the spirits of Goa are on an all time high, however during Christmas and New Year the Goa has some charm which makes it a perfect destination for the celebrations. At that time the weather of Goa is pleasant with the average temperature ranging from 11 to 12 degrees. The temperature at times dips down to 6 degrees after dark in winter season. 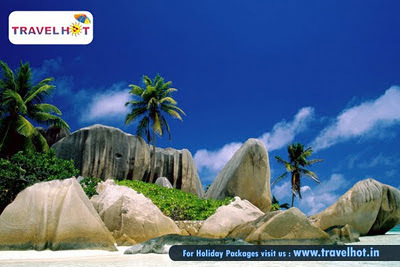 If you are planning to visit Goa in winters do not forget to book your tour package in advance as it is the peak season.